Two suspected robbers were shot in the leg when they attacked policemen while being taken to a place where they had hidden their weapons and the booty. Venkatagowda, the Soladevanalli police inspector, said that he shot at Devaraj, 25, and Chandrashekar, 23, in self-defence after the suspects attacked his men in a forest near Acharya Institutes in northern Bengaluru on Wednesday. Devaraj and Chandrashekar, along with their third accomplice Manjegowda, 26, were actually manual labourers but had taken to robbery to make a fast buck. They mainly targeted college students and elderly citizens going for evening walks in northern Bengaluru, according to police. N Shashi Kumar, DCP (North), said the suspects were involved in at least eight cases of robbery and extortion since 2014. 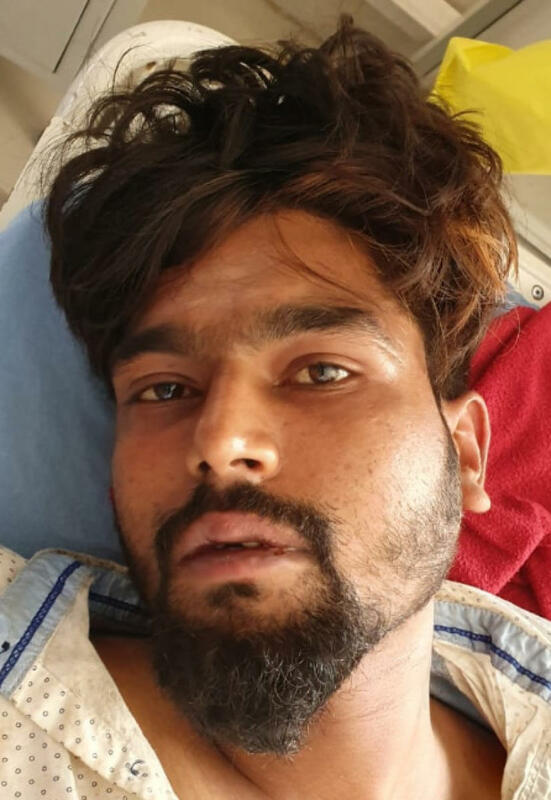 On March 8, they barged into the shed of a labourer from Bihar, stabbed him and took away cash and mobile phone. The next day, the gang robbed a couple at knifepoint. The rising armed robberies prompted the police to form a special team to catch them, Kumar added. The police team managed to arrest Devaraj and Chandrashekar near a bar in Tharabanahalli on the basis of their physical description provided by the victims. The suspects confessed to the crimes and told the police that they had hidden the weapons — two daggers and a knife — in the forest near Acharya Institutes. On Wednesday morning, police took them out for recovering the weapons as well as the booty. But the duo attacked sub-inspector Vasanth Kumar and head constable Shivaji Rao in a bid to escape. Venkatagowda, the inspector, fired a warning shot but the suspects didn't surrender. The inspector then shot both of them in the leg, immobilising them. The duo, along with the injured policemen, was taken to different hospitals for treatment. The Soladevanahalli police have opened a fresh case against them.